Grand scenery of the Serra Range awaits visitors to the Reed Lookout in the Grampians National Park (Gariwerd), Victoria, Australia. 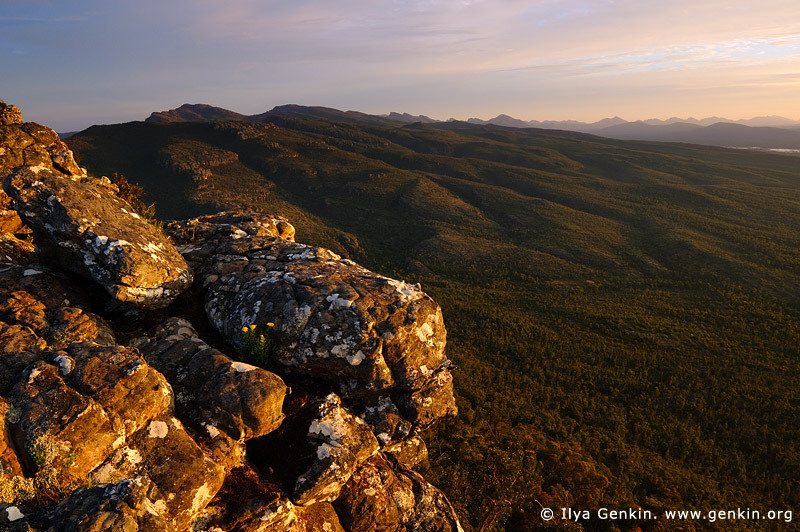 This image id GRAMPIANS-0010 of Sunset at the Reed Lookout, is copyrighted © by Ilya Genkin. This is not a public domain image.